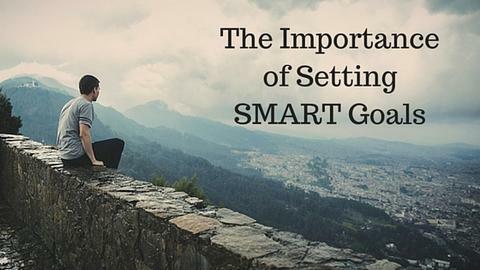 You have probably come across the acronym SMART which also happens to be a useful mnemonic. It is usually found in various business and management related articles and studies. But, the true beauty of it is that it can be used to achieve all goals, including personal fitness ones. Let us start by knowing what SMART actually is. Specific means that your goal has to be specific. Just saying you want to lose weight is not enough, how much do you want to lose and which area? Make it specific. Say, write it down, engrave it on your heart that you want to lose the fat around your belly, before Christmas, by eating less and exercising more. This can be further improved, if you set it to 1500 Kcal** per day and 15 minutes of heart pounding aerobic exercise. Measurable means that it has to have a benchmark from which it can be measured. Continuing my example, I want to bring my waist line back by 2 inches, or lose 5 Lbs. Achievable means that has it been done before, or considering your resources can it be done, without taking into account any exceptions. Now, we will check whether it humanely possible to lose 5 lbs till Christmas arrives. Say you have about 5 weeks for it. On average, sustainable weight loss is about 0.5-1 lbs* per week. In this scenario, 5 lbs seems a bit overambitious. Now, what will happen if you continue with this goal without changing it? You will most certainly give up on it because it was not achievable from the start. So, to continue further, let us reduce it to 4 lbs, which is more achievable. Relevant just checks whether the goal is relevant to your overall objective. What is your true Objective in losing weight before Christmas? And does this goal supplement that objective. Time-bound makes it even more specific. While, before Christmas is okay, what would be even better is if you divide it into weeks. So, you will lose about 1 lbs per week, going up to a total of 4 lbs before Christmas. I will lose 1lbs per week, by eating up to 1500 Kcal and exercising daily for 15 minutes, leading to losing 4lbs before Christmas. If you have any difficulty in using this, it can be supplemented by the 4Ws. What, Why, When, and Where. This will be a confidence booster for you because there are less chances of getting demotivated in just two days, after spending all your energy in the first session. Hopefully, this will help you in becoming a SMART person and have the healthy life you deserve. *Weight loss, varies from person to person and is affected by a range of factors. ** Please adjust this for gender and personal work routine.